Joseph Gerard Viacava’s family moved from Brooklyn, and he was raised on Long Island. He graduated from Syracuse University with a B.A. in Political Science and a minor in Philosophy. He earned his J.D. from the Thomas M. Cooley Law School in East Lansing, Michigan. Joe Viacava’s office is located in Fort Myers, Florida. 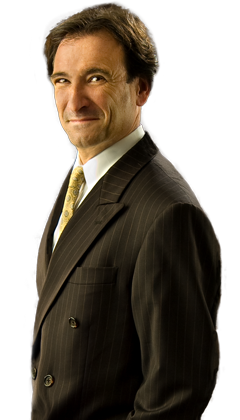 His main areas of practice are criminal defense and personal injury. He has been a member of the Bar in Florida since 1997, and is admitted to practice before the Florida Supreme Court. Admitted in 1997 to the Florida, U.S. District Court, Middle District of Florida, U.S. Court of Appeals, Eleventh Circuit, and U.S. Supreme Court. Mr. Viacava is one of southwest Florida’s pre-eminent criminal defense lawyers, and he goes to trial in both State and Federal Courts. Mr. Viacava is a former felony prosecutor in the local State Attorney’s Office. He represents clients in the Twentieth Judicial Circuit which includes Lee, Charlotte, Glades, Hendry, and Collier counties. He represented clients in Federal cases in the U.S. District Court in the middle district of Florida in the Fort Myers division. Before starting the Joe Viacava Law Firm, he worked as an Assistant State Attorney for the 20th Judicial Circuit, practiced personal injury law with the firm of Bruce L. Schiener & Associates. Mr Viacava practiced criminal defense for 17 years as an attorney, and eventually as partner, at the Wilbur Smith Law Firm. Mr. Viacava handles every type of criminal case from 1st degree murder through misdemeanors. He practices in both state and federal courts, and has tried 115 cases to verdict. He has handled a majority of high profiles cases with national exposure, and has been featured on Court TV. Mr. Viacava’s main areas of practice are criminal defense and personal injury. His offices are located in Fort Myers, Florida. He has been a member of the bar in Florida since 1997. His practice is located in Fort Myers, Florida, but he will go anywhere he is needed. He has also worked in New York, Massachusetts, Nevada, and Maine, pro hac vice.